[동아닷컴=홍세영 기자] “Army of YG’s super-star cameos” including DARA, KANG SEUNG YOON, and KIM JI SOO showed off unexpected charms behind the scenes. On the 29, behind cuts of KBS 2TV’s Friday-Saturday drama series “Producer” (written by Park Ji-eun, produced by Pyo Min-soo and Seo Soo-min) were unveiled. The behind cuts are showing 2NE1’s DARA, WINNER’s KANG SEUNG YOON, and YG trainee KIM JI SOO. The three are appearing as new members of variety TV show “1 Day and 2 Nights” in the drama series, who are super stars. They are showing off unexpected cute and bubbly appeals, differently from other top-star characters in the drama. 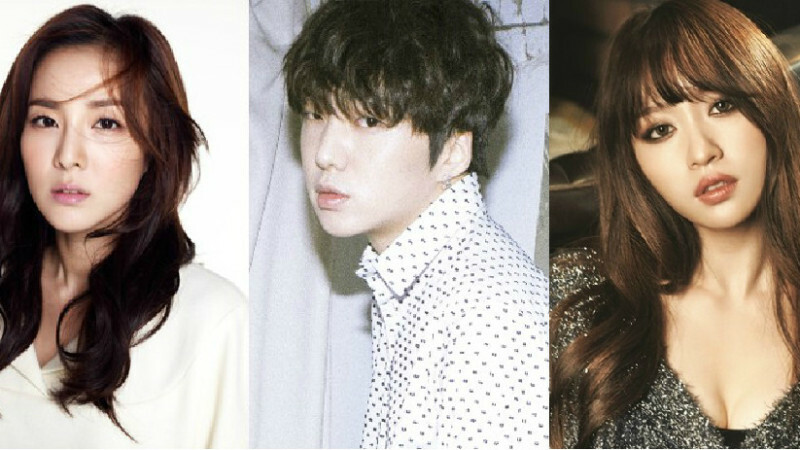 DARA, KANG SEUNG YOON, and KIM JI SOO took part in an outdoor shooting carried out in Goyeong, North Gyeongsang Province, on May 18. The three are boasting different appeals, making cute poses in a friendly atmosphere. DARA in the behind cuts is catching the eyes, making a cute pose with her thumbs up, unlike the character of her role in the series, who is a top star jealous of Cindy (acted by IU). In other photos, she boasts an outstanding aura of actress or shows off her lovely appeal, wearing a padding jumper back to front. In the behind cuts, KANG SEUNG YOON maintains his concentration on the scripts even while waiting for his scene, and does not let the scripts off his hands even when he takes a group photo with other actors, showing his “infinite affection for scripts”. KIM JI SOO who tries acting for the first time in “Producer” also catches eyes with her fresh and innocent charm and attractive face. Meanwhile, DARA, KANG SEUNG YOON, and KIM JI SOO greatly contributed to raising up the viewership rate of the series, by appearing in episode 4 aired on the 23. Even though they appeared only for short as cameo actors, they boasted a big presence in the episode. Fans are paying keen attention to how the three will make the drama more interesting with their fresh charms in today’s episode, following their contribution for last week’s episodes. 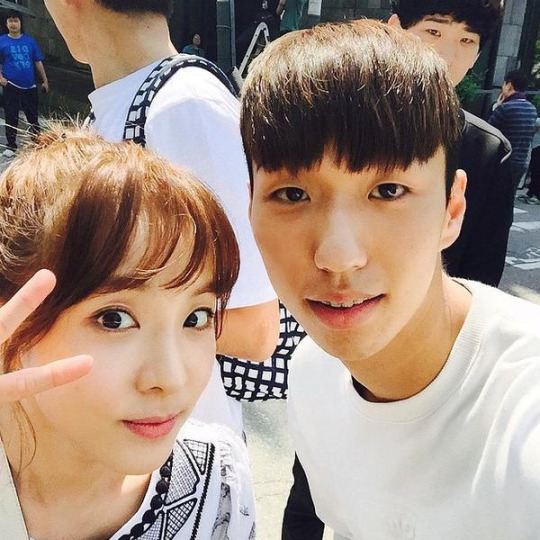 This was during the shoot for “PRODUCER” where Dara, Kang Seungyoon, and EXID’s Hani will have a cameo! Dara looks so freaking pretttyyyyy!!! According to Star News, Sandara Park and Kang Seung Yoon recently participated in the shoot for an upcoming episode, and they can be expected to cameo as new cast members of “1 Night, 2 Days” produced by Kim Soo Hyun and Cha Tae Hyun‘s characters. EXID’s Hani will unfortunately fail to make the final cut for the variety show, but fans can look forward to her acting as she boldly expresses her disappointment over getting rejected. Meanwhile, “Producer” is off to a promising start with double-digit ratings for the first two episodes.